The headache that was Channing Tatum's Gambit movie has passed from 21st Century Fox over to Kevin Feige and Marvel Studios. The long-troubled X-Men film has been in limbo for years as multiple directors exited the project, but with the Disney/Fox deal completed there's a chance for it to finally happen. That's if Disney decides it's worth it to bring the Ragin' Cajun's first solo adventure to the big screen. "All of the movies at Fox are being evaluated. I love the idea of Channing playing Gambit. I think we have a great script for it and I think it’s a role he was born to play. It’s a character I grew up loving and I know the fans love. So I suspect, I hope it will happen. There will be a lot of mixing and merging now and I’m all for it and excited to see." With the X-Men now firmly part of Marvel Studios, there will be a place for Gambit somewhere in the MCU. It's just a matter of how. Will he debut as part of a new team film, or will they move forward with Tatum's vision for the character, as he's been instrumental to its development. 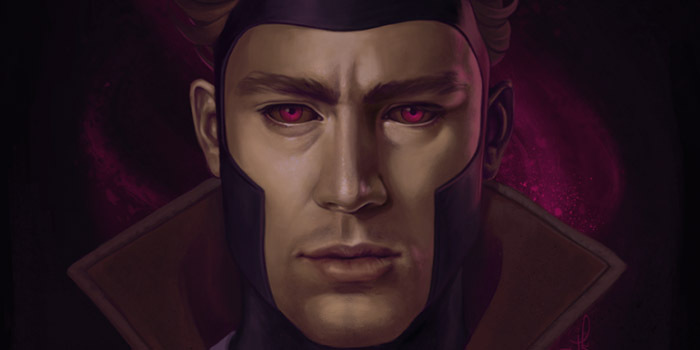 Something tells me the Gambit movie won't happen anytime soon, and probably not as we've come to expect.